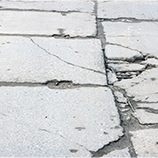 Is your driveway, sidewalk, porch, or pool deck cracked or tilted? While you might think it’s nothing to worry about (apart from the way it looks), it will only get worse over time. 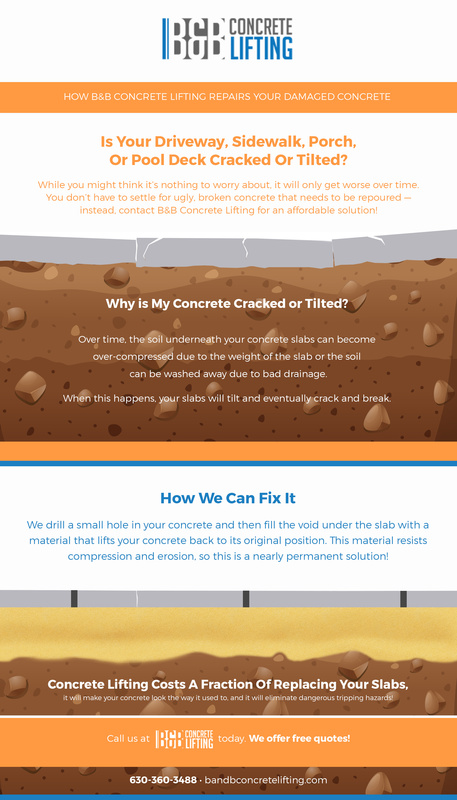 You don’t have to settle for ugly, broken concrete, and you don’t have to have the slab repoured — instead, contact B&B Concrete Lifting for an affordable solution! Our concrete repairs look great and will help keep everyone who visits your home or business safer. When you need a concrete lifting company that has years of experience at correcting and lifting concrete slabs, you can trust B&B Concrete Lifting. We use the most advanced equipment and void-filling materials to make sure that our repairs will last you for the years to come. Get in touch with us today for a free estimate! Why is My Concrete Cracked or Tilted? 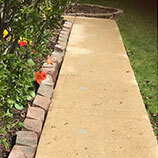 Over time, the soil underneath your concrete slabs can become over-compressed due to the weight of the slab, or the soil might have been washed away due to bad drainage. If the crack or tilt was caused by the weight of the slab, it might be because the company who originally poured your concrete failed to properly compress the soil underneath, or it might be due to a combination of poor compression and a drainage problem. When these processes take hold, your slabs will tilt and eventually crack and break. This process can take a long time before it becomes noticeable, so make sure to contact us at the first sign of cracking or tilting. If you happen to notice a hollow sound when you walk across part of the slab but no cracks or tilting has occurred, that means that there is a void under the slab. The sooner you call, the less likely it is that you will need a full slab repour. After we examine the slab, we will drill a small hole in your concrete and then fill the void under the slab with a material that lifts your concrete back to its original position. This material resists compression and erosion, so this is a nearly permanent solution! It’s important that you contact us as soon as possible when you notice your concrete cracking or lifting at one edge and sinking in another. Once a slab is too cracked, it can’t be repaired. Concrete lifting costs a fraction of replacing your slabs, it will make your concrete look the way it used to, and it will eliminate dangerous tripping hazards! 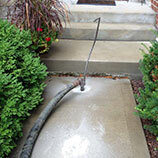 There is really no downside to calling B&B Concrete Lifting in St. Charles. 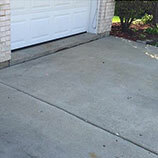 We serve the St. Charles and Fox Valley areas, so make sure to pick up the phone and see what we can do to restore your sidewalks, driveways, garage floors, and pool decks back to their original glory. Call us at B&B Concrete Lifting today. We offer free, no-commitment quotes, outstanding customer service, and repairs that take a fraction of the time of a full repour at a great price. Most concrete lifting can be performed in a day or less by our small and highly skilled team!